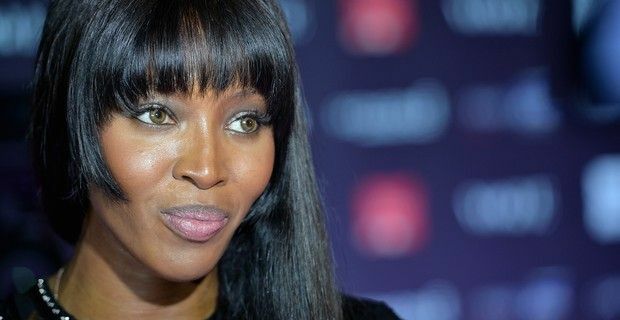 Naomi Campbell, lman and Bethann Hardison have been going after racism on the runway with their advocacy group called Diversity Coalition, and have been publicly calling out designers who fail to hire a diverse cast of models. During the New York Fashion Week 2013 the group said that designers are sending a negative message “by appearing to define beauty and high fashion as just white” (only 6% of the models were black) and named designers Calvin Klein, Donna Karan, Armani, Chanel, Gucci and Donna Karan and others, for using just "one or no models of color" in the fall shows. One of these other designers who apparently didn’t get the open letter which was sent by Naomi and her campaign colleagues to the governing bodies of the fashion industries in New York, London, Paris and Milan, was Victoria Beckham. During the recent London Fashion Week show, Beckham had only one non-white model that walked the runway , and this didn’t go down very well with friend Naomi Campbell, who is also the executive producer, host/coach of reality modeling show,The Face UK. The super top model personally called up the former Spice Girl turned fashion designer to discuss why she didn't use more black models during the show. Beckham who was just nominated for two awards by the British Fashion Council, hasn’t publicly talked about her conversation with her friend, but whether she makes any changes regarding her choices will be duly noted in her next fashion collection. Since the open letter came out there have already been some changes. Diversity Coalition representatives have already seen a larger number of black and Asian models on the catwalk during the spring/summer 2014 shows. "I've seen a huge change this season already," said Campbell, who cited Giorgio Armani and Jil Sander for adding more non-white models in their recent fashion shows . But she also added, “We don't want this to be a trend; that designers begin using models of colour just because we are raising our voices. We hope they will keep doing it and we're going to keep raising our voices until they do. It's a long-term plan."